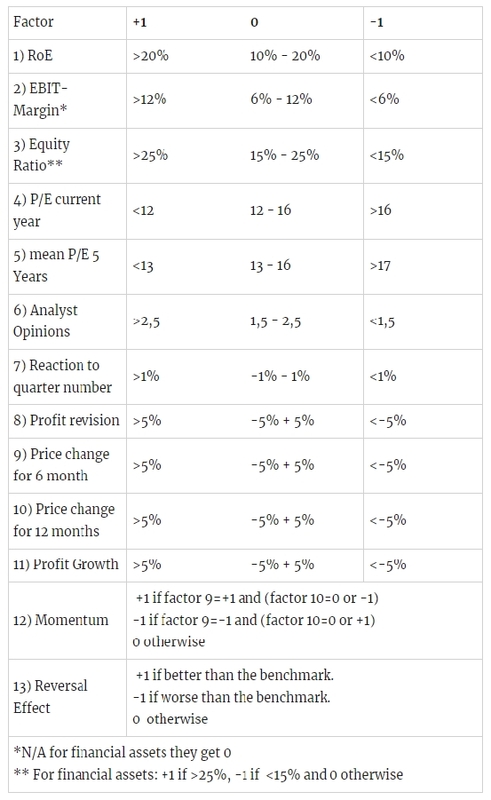 Each equity in the universe is scored based on this table and once a month the portfolio is rebalanced by exchanging equities with a score smaller than 4 by equities with a score greater than 4. I'd appreciate any help in fixing the issues. Here comes an improved version, with real trades. Any ideas on how to implement the missing factors or on improving the code? Great news! Once the analyst opinions are available, we can start experimenting with the latest NLP-magic. Is it possible to use Tensorflow/Keras in the research/algorithmLab environments? Yes, both libraries are supported! You can find the list of all libraries that QC supports here.